We recently sat down with Sharlene Mawdsley, a work placement student here at ICHAS who chatted to use about student life balance. It’s a challenge for Sharlene as she is also a track and field athlete at an international level. Thanks for sitting down to chat Sharlene, first off tell us a bit about yourself? I’m a 20-year-old student-athlete studying in the University of Limerick. I am currently in my second year of college studying a Bachelor of Arts in Sociology and New Media and on my placement in ICHAS where I work 3 days a week in order to be able to train at a high level. I’m also a sprinter, competing in the 200 and 400-meter events. This involves training 6 days a week which includes approximately 15 hours of training and then other factors such as physio and massage therapist must be accounted for, this means on average 20+ hours of training per week. I don’t actually have much of an interest in sports. I love what I do but wouldn’t really know much about what’s going on outside of athletics. I also love reading but when reading a book, I tend to not be able to put it down, which leads to my sleep being affected, so around a month before a race, I would tend to avoid reading in order to be able to have a normal night’s sleep. Random, I know. Wednesday is my usual day for physio, which then entails a rehab program with a long run, to prevent old injuries from occurring. Saturday morning concludes with a Fartlek session or a Technical session depending on the time of the year. 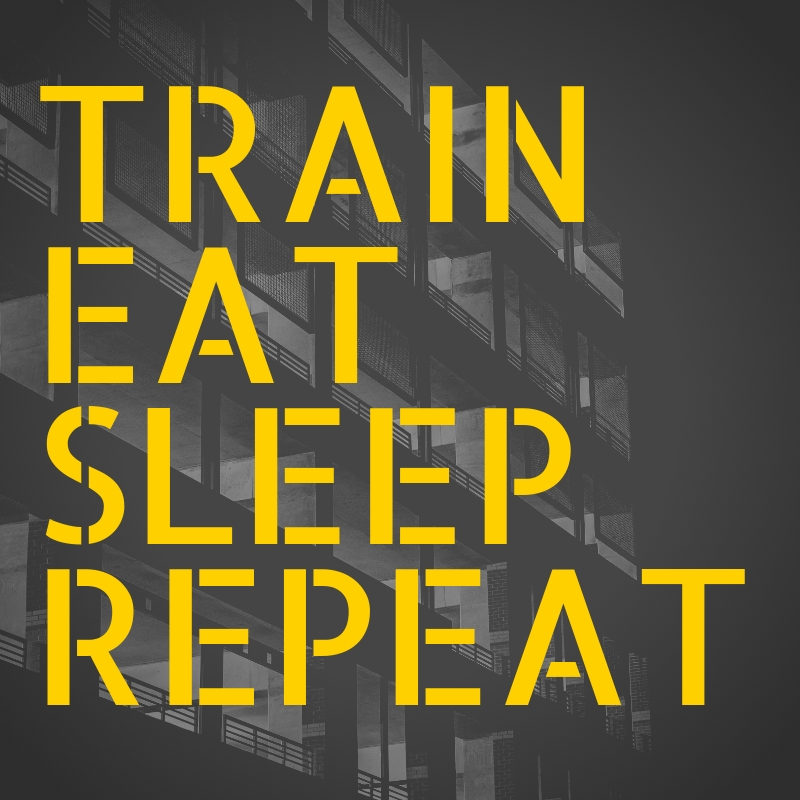 Each morning I wake up around 7:45 am, eat, train, eat, shower, eat, sleep. Unless I have work which entails, shower, eat, work, eat, train, shower sleep (see below). 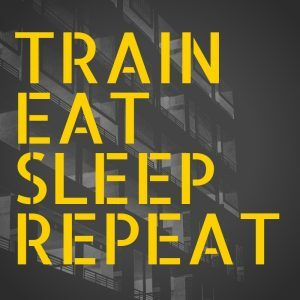 I tend to meet my friends on Mondays, Saturdays as I have the day for myself after I train early in the morning. What’s your Biggest Student Life Challenge? You’re forced to make the choice between fully committing yourself to a sport or being half in and half out. Being “all in” entails a lot of “missing out” but knowing you couldn’t have done any more to better yourself. Trying to get the right balance between sport, academics and social life was and probably still is the biggest challenge I have within having an athlete student life. Because I am on a scholarship, I feel I must give it everything I have to give back to the college in terms of athletics and academics, which often leads to missing out on events with your family and friends. I’ve had to miss out on friends Birthdays and family occasions all to make a sacrifice to be “all in”. But I’ve learned that your friends and family are the biggest part of your success and failure. Missing lectures also comes as a huge factor as you need to keep on top of both studies and training but training for me always takes the main priority. Being injured last year led me to have little motivation to start back running again, it’s difficult to keep the motivation to be a full-time student-athlete because of injury and illness that occur, after giving that huge time commitment. Your family and friends are the people who keep you motivated and tell you everything will fall into place. My favourite quote when I’m feeling like nothing is going to plan is “What’s meant to be will always find its way” or “what’s for you won’t pass you by” but I also feel you must work hard for these quotes to be accurate. What are your Three tips on getting the Balance Right? Setting goals. Balancing athletics with academics prove to be quite a challenge when most of my life revolves around the two. Each week I try to set a goal of what I want to achieve be it in work, athletics and my goal for the week that involved doing something completely irrelevant to the two. For example, my goal for this week in work was to learn more about how the ICHAS website works, my training goal was that I would be able to finish Monday’s session alone, and my goal for myself was to eat more vegetables. I’m not great when it comes to cooking so eating more vegetables meant eating healthier for me. Time management: With only 24 hours in one day, and approximately 9 hours taken up with sleep, 8 hours taken up with work, 2 hours of eating leaves you with just 4 hours a day. Managing your time correctly and efficiently leads to you to get the right balance be it in anything you put your mind to. For example, setting aside time for myself is important as I get time away and I’m not constantly thinking about training or college work all day. Find what works for you: People have different methods of doing things that work for them so finding what works for you is a very important way of getting the balance right. I find by scheduling out how the day is going to go works well for me, but for others this doesn’t work as they may feel uneasy if plans change and the day doesn’t go according to the schedule. I find trying out different things is the best way of finding what works for you.